Authors claim clinical trial data came from one center. It came from three. A BMJ journal has retracted a 2017 paper that made a false claim about the clinical trial in question. 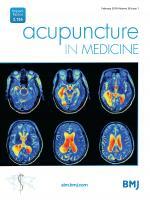 The Acupuncture in Medicine paper reported the results of a clinical trial about the impact of acupuncture and Chinese herbal medicine on stroke, gathered from one center. However, in November, the editors of the journal discovered that the authors had completed the trial at three centers, and had already published the data in Scientific Reports in 2016. The authors say the duplication and misrepresentation of the data stemmed from “confusion and misunderstanding.” Continue reading Authors claim clinical trial data came from one center. It came from three. Posted on March 26, 2018 March 24, 2018 Author Victoria SternCategories Acupuncture Med, bmj, bmj, cardiovascular research, china retractions, freely available, investigator error, methodological problems, miscommunication3 Comments on Authors claim clinical trial data came from one center. It came from three.